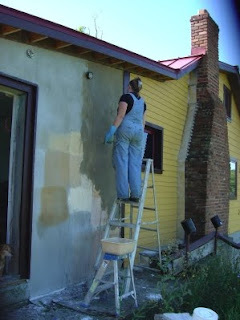 We started the day by walking around the outside of the house, writing up what still needs to be done, especially before it gets really cold. 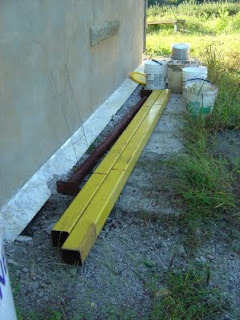 Things like paving or pouring concrete just can't be done in freezing temperatures. 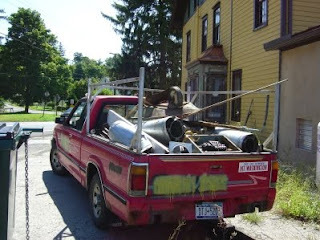 ... and picked up some steel columns in return, which we will need to install in front of the propane tank for all the crazy people who can't distinguish between the brake and the accelerator pedal. By the way, not only did I get the columns, but I even got money back, how cool is that. 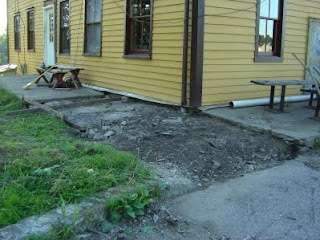 And finally I started on repairing the concrete walkway on the biergarten side. Today was just about preparing the ground, tomorrow there'll be some real action.